While millions of Americans celebrate Memorial Day by grilling outside and relaxing with family and friends, the annual holiday can prove challenging for anyone mourning the loss of a military veteran, even many years after he or she died. This article offers 10 meaningful ways that you can honor a deceased veteran and keep his or her memory alive on Memorial Day. Pause & Reflect at 3:00 P.M. In December 2000, President Bill Clinton signed into law the "National Moment of Remembrance Act," which specifies that every American should pause for one minute at 3:00 p.m. local time on Memorial Day each year -- wherever he or she is -- and reflect on the sacrifices made by the men and women who died defending the freedoms and values we enjoy today. Thus, whether you're calling the family to the picnic table at that time, elbow-deep in soil while planting your garden, relaxing in your favorite chair, etc., you can still honor every deceased military veteran by participating in this act of national unity. The men and women who put their lives on the line to defend our freedoms deserve the thanks of a grateful nation. Among the ways, our country shows its appreciation for these sacrifices is by providing burial and memorial benefits to current and former members of the U.S. Armed Forces. One such benefit is a Presidential Memorial Certificate, a free engraved paper certificate signed by the current U.S. president. Framed or not, this impressive official document clearly conveys that both our country and the bearer appreciate the soldier's military service. Author's note: While the application process is relatively easy, the wheels of government grind slowly so don't expect your certificate to arrive quickly. After submitting the necessary paperwork in November 2012, it took more than three months to receive a Presidential Memorial Certificate honoring my grandfather for his service in World War II. That said, it's worth the wait and you should order more than one at a time so you can share. "Step Softly and Carry a Big Flag"
Paraphrasing President Teddy Roosevelt's famous quotation, consider honoring a deceased veteran this Memorial Day by visiting his or her gravesite, the spot where his or her cremated remains ("ashes") were scattered, or some other location significant to the deceased. While there, you should remove any debris, such as leaves or dead flowers, from his or her resting place and then leave a fresh floral bouquet and/or an American flag to denote your visit and your appreciation. Every military veteran, regardless of branch of service or rank, lived a story that should not be forgotten, and Hometown Heroes wants to collect all of these narratives. This website gathers user-submitted images and text to create a database of military veterans that visitors can search for by name, city/state, the branch of service, era/year and other criteria. Best of all, it costs nothing to post a photograph and the basic information about a veteran's service record! Roughly 16 million American men and women served in the U.S. Armed Forces during World War II, and more than 400,000 of them paid the ultimate price during this global fight against tyranny. Unfortunately, it took more than 60 years to create a national memorial honoring their service, by which time many of the surviving veterans would likely never visit it due to health and/or financial reasons. Retired Air Force Captain Earl Morse, a licensed pilot who worked for the Department of Veterans Affairs in Ohio, did something about this by creating "Honor Flight." This non-profit organization flies WWII vets to the National World War II Memorial in Washington, D.C., at absolutely no cost to the veterans. Through the end of 2012, Honor Flight has transported nearly 99,000 World War II veterans to the memorial. If you wish to honor a deceased veteran, consider making a financial contribution to Honor Flight, or even organizing a trip for military veterans in your area. Shortly after Punch magazine published the poem "In Flanders Fields" in 1915 -- written by World War I soldier John McCrae after he presided over the funeral of a friend killed in action -- people started associating red poppies with war and honoring soldiers. By 1920, the American Legion had adopted this unassuming crimson flower as its official symbol of remembrance. Today, it's fairly easy to find a veteran seated outside of a supermarket or convenience store on Memorial Day offering a handmade crepe-paper poppy you can wear in exchange for even a modest financial donation. Thus, if you should spot a veteran during the Memorial Day holiday seated at his "red-poppy post" as you run to the store for more ice, charcoal, beverages, etc., please dig into your pocket or purse and give generously for that "simple flower." And don't forget to thank the vet for his or her service, too. Odds are good that your place of worship, a local funeral home or cemetery, a Veterans of Foreign Wars post or some other business/organization will offer a special tribute service in honor of area veterans during the Memorial Day holiday weekend. Funeral homes and cemeteries, in particular, often hold such services in memory of the veterans served during the previous 12 months. Regardless of the host, these events generally feature patriotic music, marching bands and even food and fireworks, which makes these services fun for the whole family. Check your newspaper or local Patch site for the event(s) near you. Music composer and conductor (and Marine veteran) John Philip Sousa penned numerous patriotic and military marches during his lifetime -- most notably the Stars and Stripes Forever, which is the official march of the United States. Chances are that you and your family will hear this tune or another rousing Sousa composition at some point during your community's annual Memorial Day parade. So, bring the kids, tap your toes and don't forget to applaud the veterans and even thank some of them personally, if you can. For many Americans, Memorial Day signifies the unofficial start of summer. Not only do millions of people have the day off on this federal holiday, but many fire up the grill for the first time, take advantage of the numerous sales that stores run, attend a festival, hit the road for a long weekend, etc. 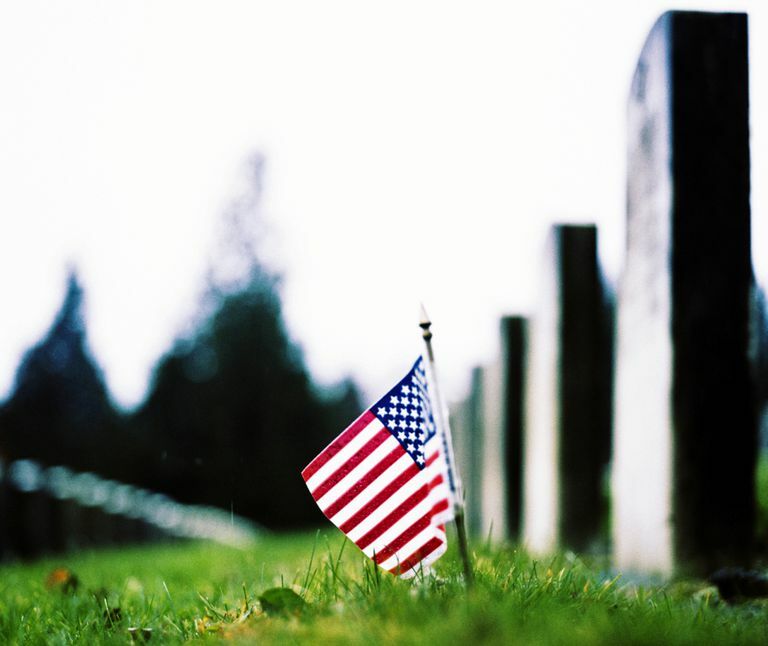 Unfortunately, according to a 2011 survey, 80% of those polled identified themselves as having only "little" or "some" understanding of the meaning and purpose of Memorial Day. Perhaps the most meaningful way you can honor the memory of a deceased veteran on Memorial Day is simply to express your sincere thanks and appreciation to the many military veterans still living, and anyone actively serving in the Armed Forces. Thus, whether he or she is a family member or a friend, or someone you see during a parade, a memorial service, in an airport or store, etc., please make a point of politely stopping him or her and extending your hand as you say, "Thank you for your service!" "Memorial Day: Do you know the real meaning? Poll says most of us don't" by Terri Finch Hamilton, May 26, 2011. Grand Rapids Press.